I can't even begin to tell you how excited I am to be able to showcase such a special shop to you today. SimplyBoco is a handmade Etsy shop that offers delicious, organic baby items. soft, organic blankets. 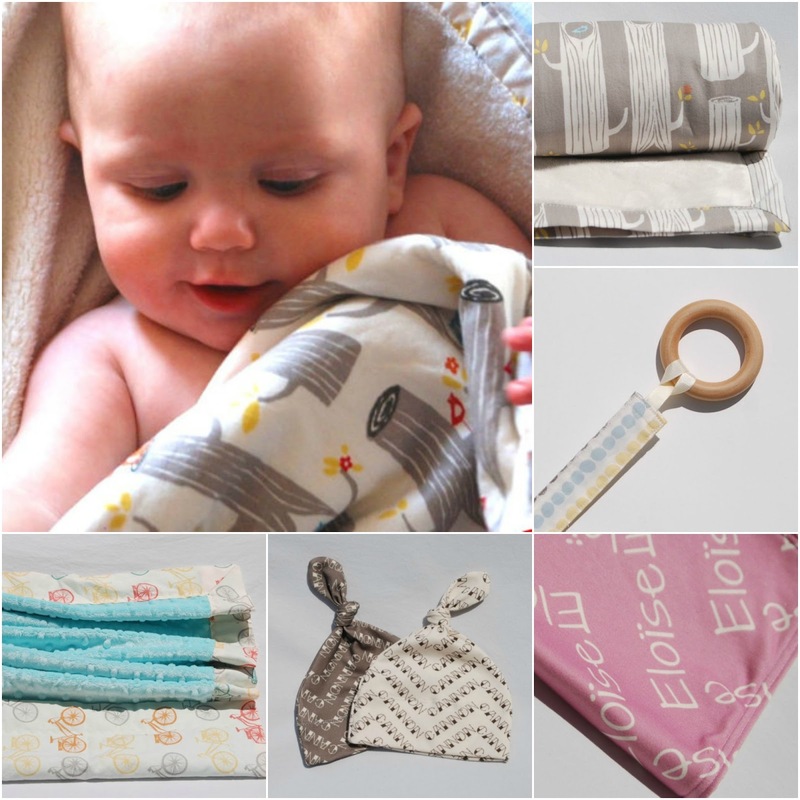 These blankets have a trendy, organic cotton fabric on the front and is backed with a soft minky material. They are the perfect size to use in a stroller or carseat. Or, to lay your baby on at the park. Now, it is your turn! Use the rafflecopter to enter to win a fabulous blanket ($46.00 value)!!! winner will be chosen April 8th @ 7pm CST. good luck! *Congrats, Amanda!!! You won an awesome blanket from SimplyBoco! Aodrable! My SIL is PG so this would be such a great gift for her!!!! Love the Woodland Friends blanket! Nice! Is this available to residents of Canada? Hi Liz, I really like the Mermaid with pinky minky fabric. Her creations are all so cute. Anything FOX! so so so cute. Oh my, they all look so cute and cozy!! Love the Tree Stripe in Gray! Thanks for the giveaway! I would love the little fox blanket! I love the custom baby name blanket! LOVE the custom name swaddlers... we're due in June and baby girl needs some personalized blankets! Oh I love the Organic Baby Blanket - 100% Organic Cotton and Dimple Dot Minky - Safari Soiree in Cream with Ivory Minky! I really like the "Gender Neutral Baby Blanket - 100% Organic Cotton and Smooth Slate Gray Minky - Pebble Stripe". So pretty! I like the Gender Neutral Baby Blanket - 100% Organic Cotton and the Smooth Slate Gray Minky - Pebble Stripe and Organic Baby Blanket - 100% Organic Cotton and Smooth Ivory Minky - Spaceships kristiedonelson(at)gmail(dot)com Thank you. I like the 100% organic sea urchin shells in sky blue. The Organic Baby Quilt - Kelp Play with Sea Urchin Shells - Underwater octopus, turtle, jellyfish and sea horse looks very nice!